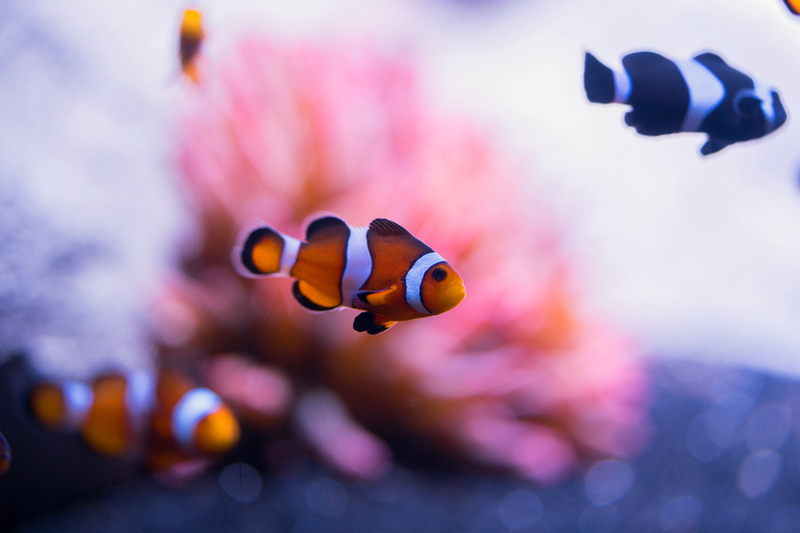 We’re not clowning around when we say we love clownfish! 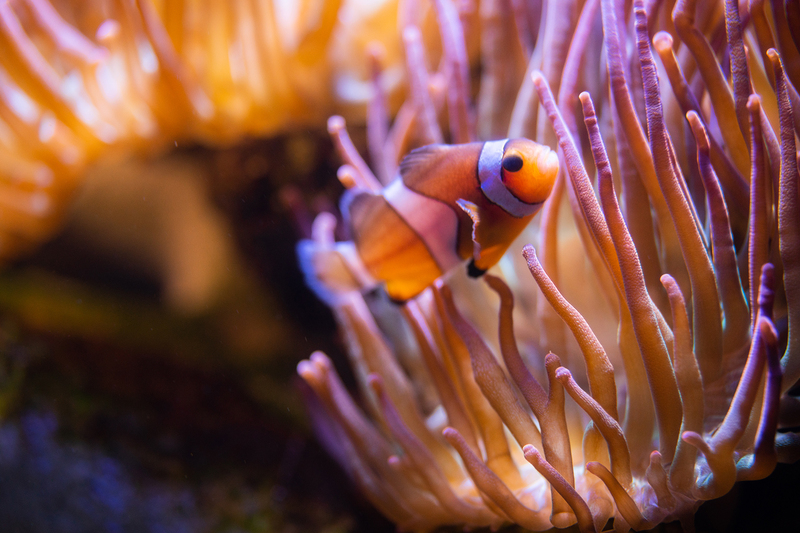 Here’s 10 lesser known facts about these amazing anemonefish. 1. There are around 30 known species of clownfish. 2. 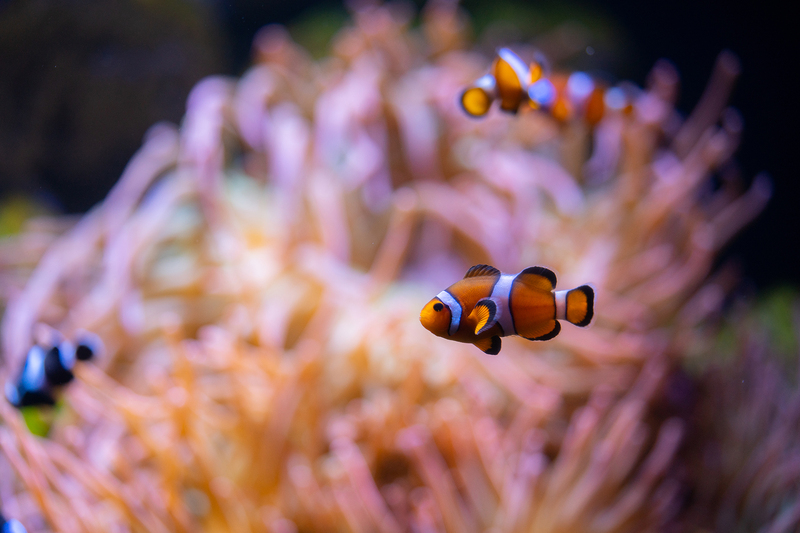 Clownfish live in the warm waters of sheltered reefs and shallow seas in the Pacific and Indian Oceans. During the winter, they will migrate to deeper water to stay warm. 3. 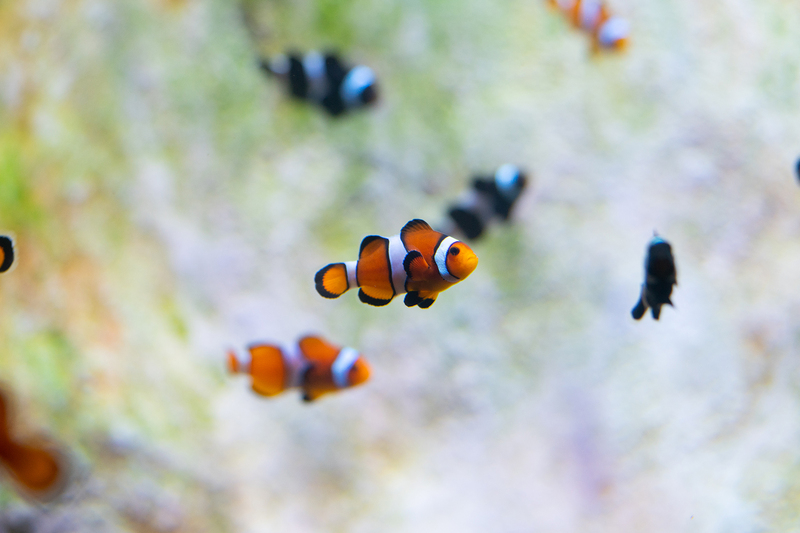 Schools of clownfish have a strict hierarchy, with the most aggressive female at the top. 4. All clownfish are born male. When the dominant female dies, the dominant male will turn itself into a female. 5. Not all anemones are Clownfish friendly. 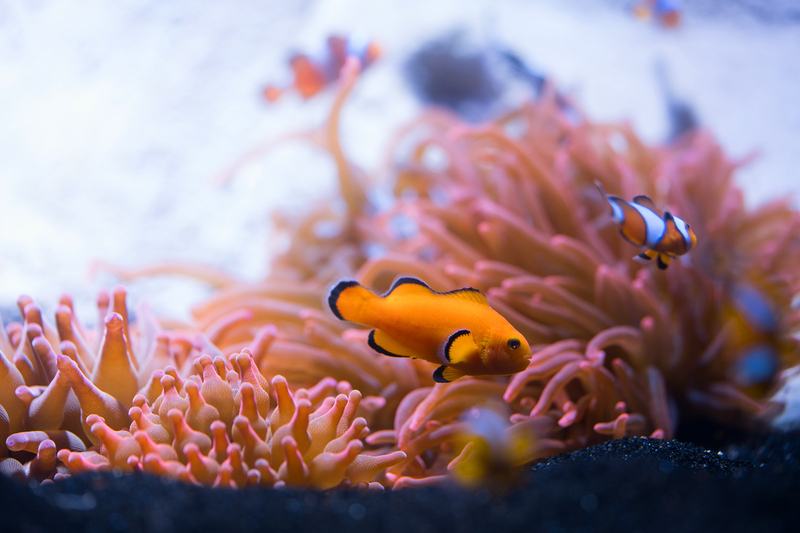 There are over 1,000 anemone species and only ten of those can coexist with clownfish. 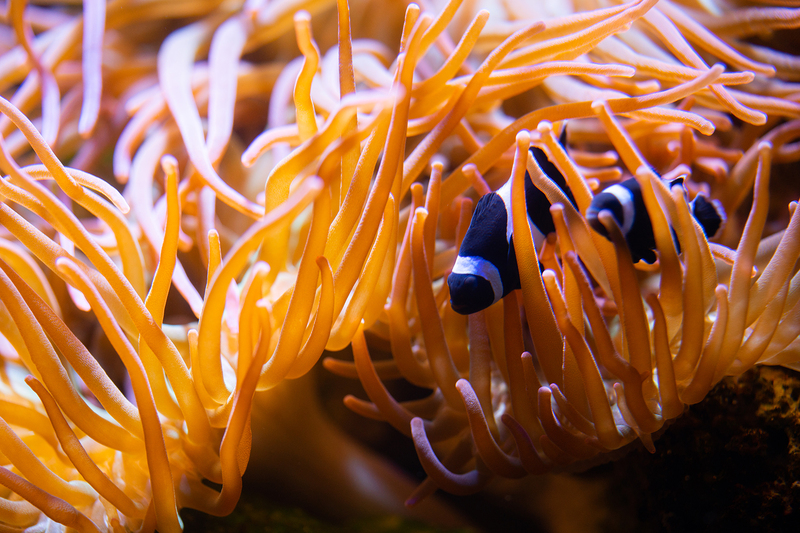 Even then only certain pairs of clownfish and anemones are compatible. 6. Clownfish are omnivores. They eat dead anemone tentacles, leftovers from the anemone, plankton, mollusk, zooplankton, phytoplankton, small crustaceans and various algae. 7. 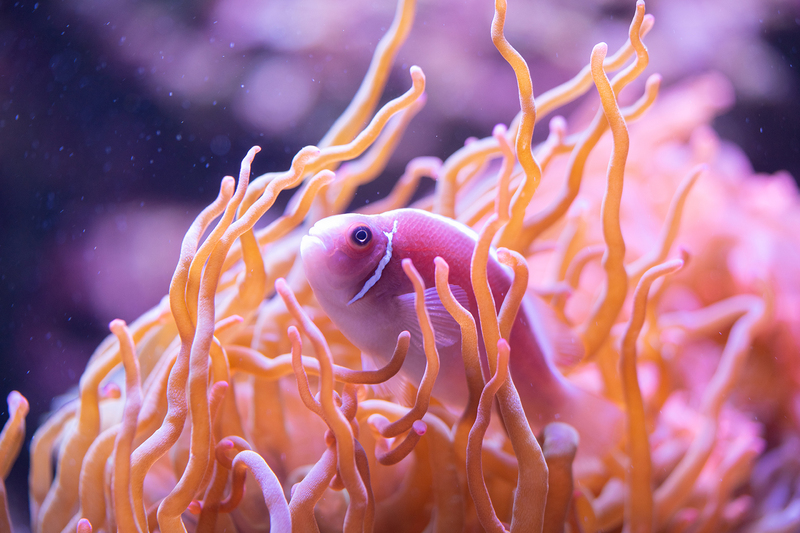 Clownfish are not great swimmers. 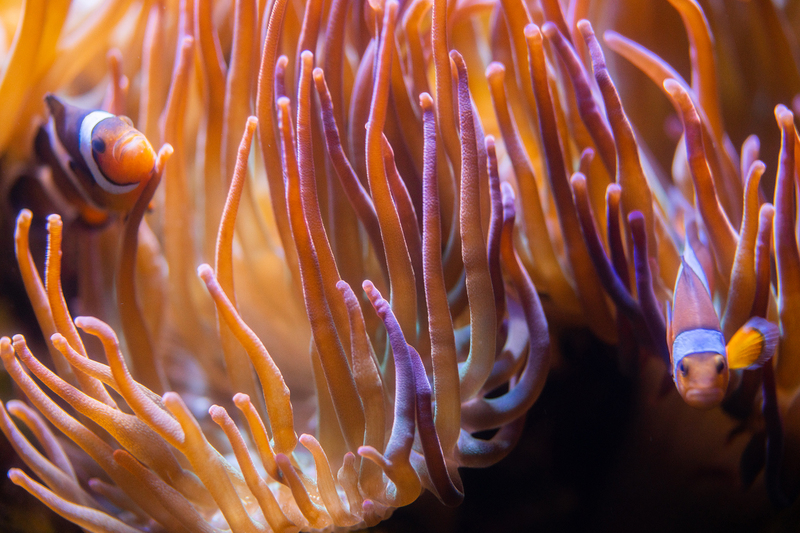 They mostly hide in anemones, and when they do venture out, their swimming patterns are very erratic. 8. 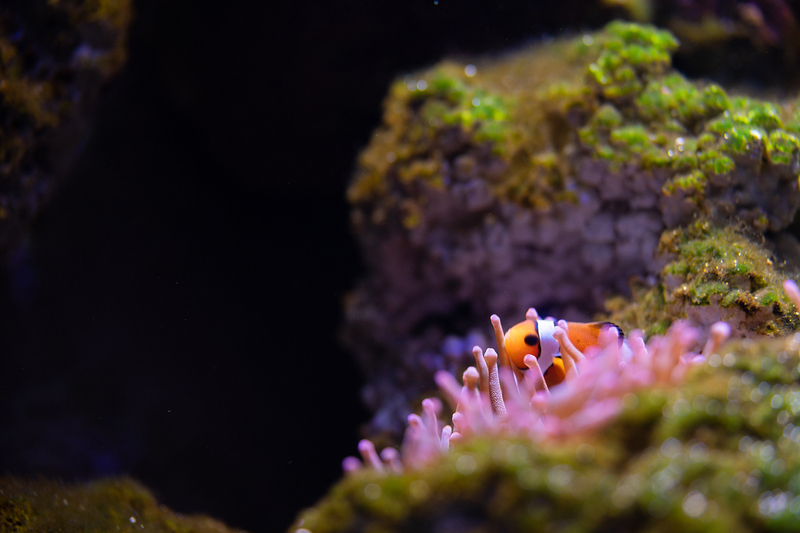 Male clownfish are dedicated fathers. They will prepare the nest for the female, guard the eggs, and clean the nest. 9. Clownfish communicate by making popping and clicking noises. 10. Clownfish catch prey by swimming onto the reef, attracting larger fish, and luring them back to the anemone. The anemone will sting and eat the larger fish, leaving the remains for the clownfish. 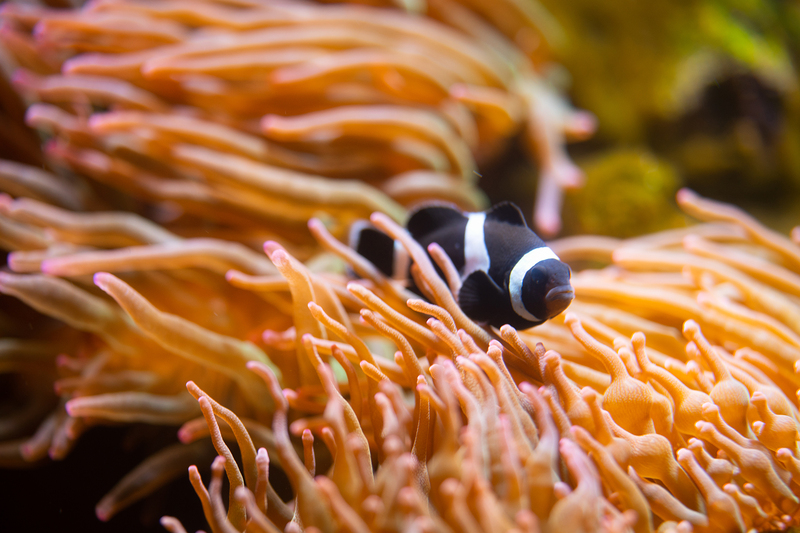 Visit our clownfish in our Ocean Explorer habitat!